It's been a while since I posted a new recipe... I've been busy working on the blog, but more behind the scenes- trying to sort my recipe index out (slow progress!) and also creating a book based on my mindset posts. I have also been coaching a lot more in recent months too and that hs been a priority. That said I've missed creating sweet things and photography! Last weekend I was feeling in the mood to bake something... and put a post on my personal Facebook page asking what things people wanted 'healthanizing' ... billionaires shortbread got a mention (I'll try and get onto that before xmas) and so did carrot cake. Well, it just so happens that a few weeks ago I did make a fantastic carrot cake, and the comment prompted me to get it up on the blog! This is a blend of carrot, ginger and apricot for an indulgent twist on the classic. It's super healthy- packed with fruit and veg, minimal processed ingredients and made with oats, I'm pretty sure it could be made entitely gluten free very easily. The carrot cake may not be particularly festive, but it's still great for a party of a gathering or bookmark it for a springtime treat :-) If you love carrot cake BUT also love chocolate... you should definitely try this chocolate brownie carrot cake! Final top tip before you go ahead and make it - this cake keeps well for a few days in the fridge, in fact I think it tastes even better the day after it's made- richer and cakier! 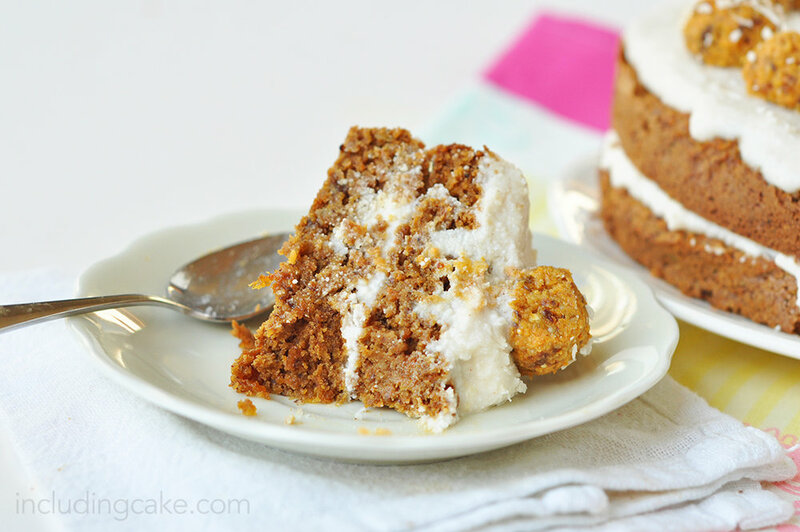 Recipe: Carrot, Apricot & Ginger Cake!! Blend the flax mix with the melted coconut oil, non-dairy milk and the apple until fully pureed. In a sperate large bowl mix together the dry ingredients then add all wet ingredients plus any remaining ingredients to it, stir through until well mixed. Spoon batter into two 8" cake pans- the layers will be fairly thin. Bake for approx 30 mins at 180C, loosely cover with foil if tops are browning too quickly. Allow to fully cool before frosting. Method: Mix together and then allow to thicken in the fridge. Method: Blitz together all ingredients in a food processor and then make into balls. If the mix is a little too wet, allow to chill in fridge to firm up before forming. 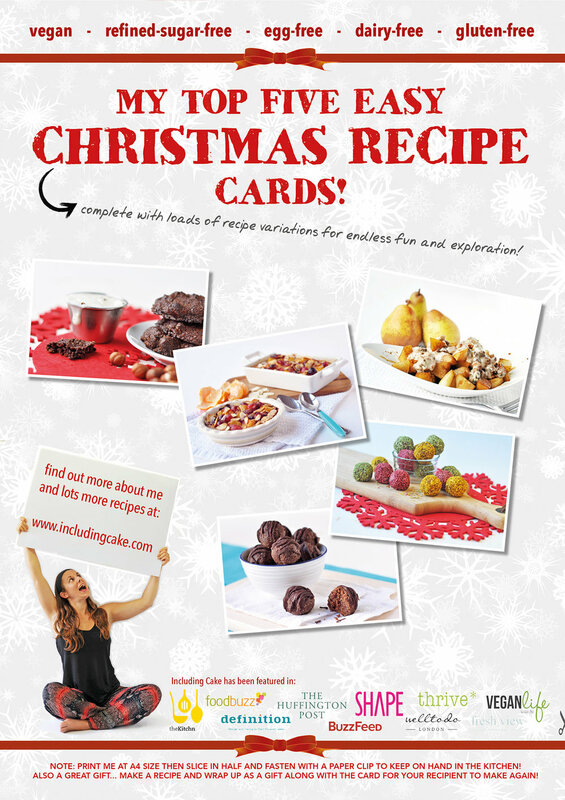 For some festive foodie vibes... I have a few treats planned for the coming weeks, feel free t leave me your ideas too! In the meantime, I would love to share with you my top five festive recipes last year, I put them together in a mini book you can find here. Celebration cake.... where health and indulgence collide!